BowWow PowWow is a FREE social seminar presented by Canine Center Trainers and guest speakers. Discussion topics are geared to helping you better enjoy life with your dog! Thinking about bringing your dog to the local dog park but not sure whether it’s a good idea? Come on out to The Canine Center and join us for a discussion on Play Groups, Dog Parks, & Proper Play. 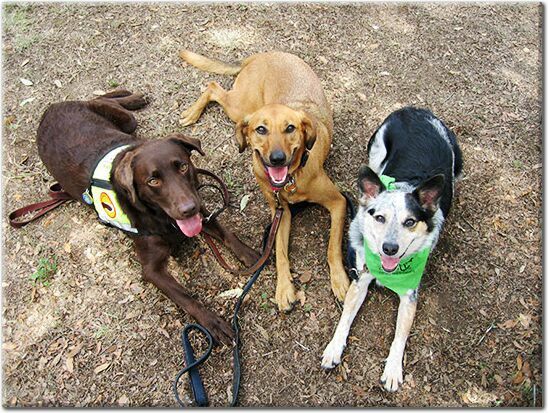 Learn the in’s and out’s of dog socialization and find out what’s appropriate and what’s not! Please Note: Well behaved and non-reactive dogs are welcome to attend. Dogs must be on a standard leash (no retractable leashes) at all times. Please maintain distance between dogs and do not let dogs meet.